American policy on the interrogation of detainees is an exceptionally complex issue, one that cannot be adequately addressed nor satisfactorily resolved absent a clear understanding of the vital elements involved. 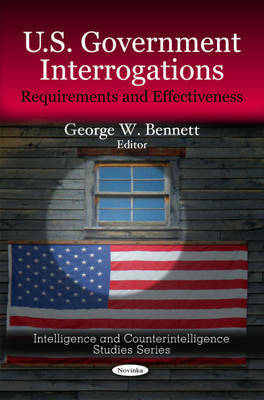 This book is an overview of the controversy regarding U.S. treatment of enemy combatants and terrorist suspects detained in Iraq, Afghanistan, and other locations. Congress approved additional guidelines concerning the treatment of persons in U.S. custody and control via the Detainee Treatment Act (DTA). The DTA contains provisions that require Department of Defense (DoD) personnel to employ U.S. Army Field Manual guidelines while interrogating detainees, and prohibits the "cruel, inhuman and degrading treatment or punishment of persons under the detention, custody, or control of the U.S. Government." These provisions of the DTA, which were first introduced by Senator John McCain, have popularly been referred to as the "McCain Amendment." 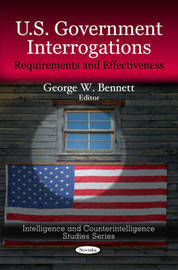 This book also discusses the Executive Order issued by President Barack Obama that generally instructs all U.S. agencies to comply with Army Field Manual requirements when interrogating persons captured in an armed conflict. This book consists of public documents which have been located, gathered, combined, reformatted, and enhanced with a subject index, selectively edited and bound to provide easy access.